Tuesday evening, I asked Tim if he could have dinner with the younger boys so I could take Gerry out. It had been a hard day for Gerry and I wasn’t sure why. He came home in a mood and with every question he either yelled at me or started to cry. Lots of “you don’t remember what it’s like to be in school all day” and “I just want to be left alone” and “don’t leave, I need help with my math homework” and “stop helping me!”. So Tim sat with Howie and Lewis while they didn’t eat their hot dogs and macaroni. I took Gerry to the diner up the street. We sat together in a booth facing the TVs. The evening news was on. Normally, I don’t let him watch the news because it’s just too graphic and sensationalistic. I didn’t have much choice here, though, since two screens were staring right at him. Luckily the news was fairly benign that night. Stories about the missed call at the Packers/Seattle football game, a quick blurb about a close mid-air collision at a Chicago airport, and clips from the presidential candidates on the campaign trail. Gerry’s not much of a talker when we go out. But this time the questions didn’t stop. He asked about the football game which led to a discussion of unions and strikes and their impact, especially for students and teachers in Chicago. We talked about the safety of airline travel, and he shared his knowledge of planes and how they fly (clearly learned from his father and his iPad flight simulator). And we talked about the election. He asked if he could stay up and watch the speeches and debates this year. Every once in a while, he would stop talking to take a bite of his maple syrup soaked pancake. And then he’d stare back up at the TV screen and ask another question. Looking at him, I let my mind transport back to the dinner table when I was his age. We had a small black and white TV on the counter near the table and we’d watch the evening news while we ate. We’d talk about the stories and discuss their implications and what it meant for us and the world. And as we cleared the table, Jeopardy would come on and we’d yell out our answers in the form of a question to see who would get the higher score. As I tuned back into the conversation at the diner, that strange feeling of came over me for the one millionth time. I am happy that I am able to continue this connection with my own child and so thrilled with his thirst for knowledge and desire to learn more about his world. I am sad that my dad isn’t here to see his grandson love the same things that he did. I am angry that he left this earth way before his time. I want him here at that booth with Gerry telling him about the world and giving me that gentle hug around the shoulders that said he was proud of me without the need for words. Just when I think the sadness and pain and emptiness has faded, a moment like this in the diner comes along and I am right back there again. I am grateful for his legacy carrying on in the grandsons he never met. But I am missing him terribly today. Yes, I know that’s not a real song. But I had no other way to title this. It’s an original title for a brand new project of mine. It’s perhaps the most important thing I’ve done since marrying my husband and starting my incredible family. My very dear friend and I are opening a parent-led sensory gym. As a non-profit. For kids just like mine. We’re calling it “SenseAbility Gym: A Sensory Gym for Sensational Kids“. 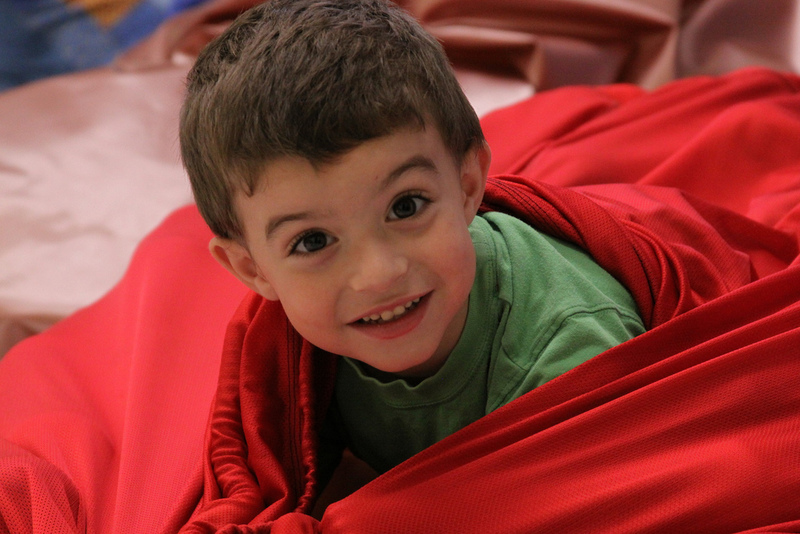 This winter, my friend and I took our sons to an open sensory gym in sponsored by the Autism Alliance of Metrowest. We watched our boys run around and play and smile. The equipment was familiar to the boys from their OT sessions at school so they knew just how to use it. As a bonus, my friend and I got to actually talk to one another. A few weeks later, we attended another sensory open gym, again sponsored by the Autism Alliance, this time at a private OT clinic. Again, the boys were in heaven. Jumping into ball pits, climbing through the squeeze machine, swinging around on the therapeutic swings. And again, we got to talk. Mostly about how we wished there was something like this open near us all year round. I wrote about our experience there in my blog. I talked about how welcoming it was. How one child kept telling everyone it was a leap year and reciting the other years when a leap year had occurred. How Howie made a new friend there who loved to spin around in the closed up swing as much as he did. How happy our kids were. And that no one there batted an eye if a kid was upset, or melting down, or jumping up and down, or making noises, or making eye contact or not. It was pure acceptance and love for our kids. I’m not sure he actually meant it. But I started to cry. Because I knew we had to open a place like that. The next night, I went out with a few friends for drinks. All autism moms. I told them what Tim said. They said we had to do it. The next morning, I went for a walk with another friend. She’s been my friend since our oldest boys were in preschool together. I told her to talk me out of it. She talked me more into it. And handed me a book on how to start a non-profit in Massachusetts. The more we talked to people: parents of kids with special needs, parents of kids without special needs, therapists, teachers, you name it. Not one person told us it was a bad idea. In fact, they all said we had to do this. We met with a business consultant to organize our thoughts. We relied on people in our community who took their personal time to sit with us and tell us what we needed to do to make this work. We sent out a survey and wrote a business plan. We asked my cousin to design our website and our incredible logo. We filed with the state as a nonprofit, with the attorney general’s office as a public charity, and received our 501(c)3 status from the IRS faster than anyone said it would happen. And so SenseAbility Gym, Incorporated was born. So what are we? What are we trying to do? And why am I writing about this here? SenseAbility Gym’s mission is to provide a parent-led sensory gym, giving children with special needs a safe, fun, indoor area where they can play and accommodate their sensory needs. This will be the first of its kind in the Metrowest area of Massachusetts. 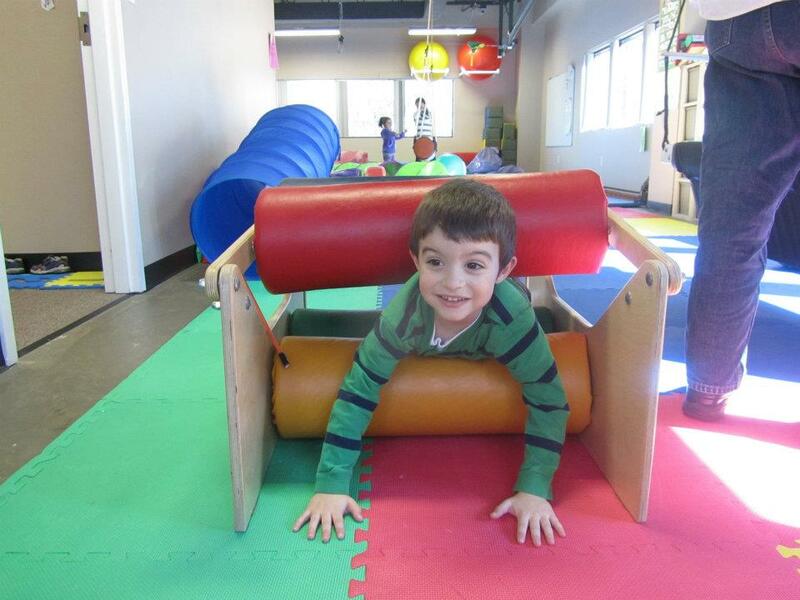 We’re modeling our gym after an incredibly successful sensory gym in Brooklyn, NY. We believe in the fact that all children deserve access to the types of therapeutic equipment used in their schools and their private occupational therapy clinics and we believe that parents need to interact with their children to learn what helps their child “feel better” and have fun. There are four important components to our mission. My friend and I know how lucky we are to live where we do. From the moment that we knew Howie needed extra help, we had people to help us. 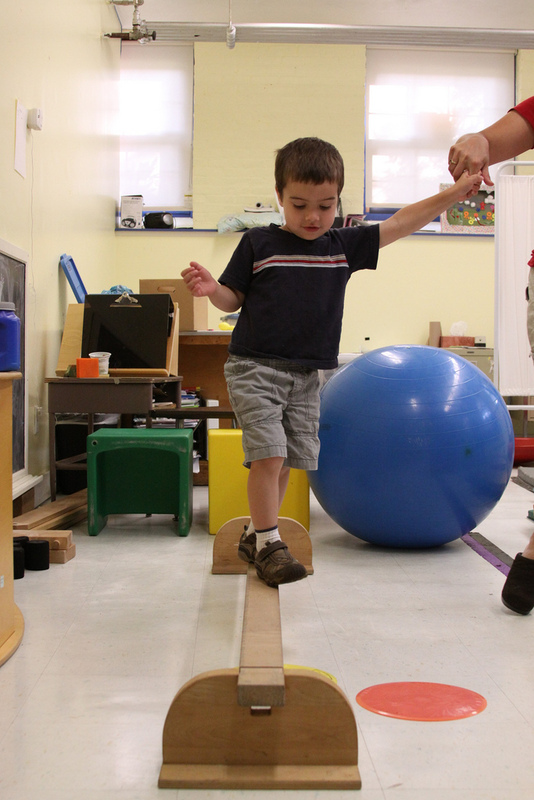 Our pediatrician referred us to Early Intervention to get help for his sensory issues from an occupational therapist. 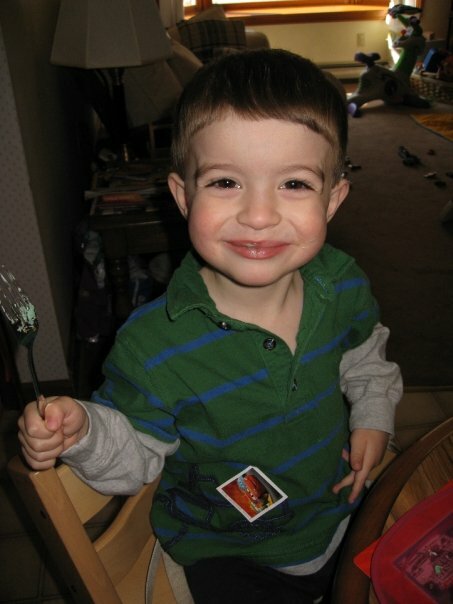 When he entered preschool, he was surrounded by a loving, caring, knowledge group of teachers and support staff who knew before we did what Howie needed. And when he received his autism diagnosis, we were instantly supported by this team here in town to get him the services he needed. And through that, he made friends. And I made friends. And without that…I don’t like to think about it. We see the gym as a place not only for our kids and kids like ours to accommodate their sensory needs, but also as a place to build their social skills and interact with other children like them. We see the gym as a place where moms and dads can interact with parents just like them. We see it as an another piece of the support team helping families know they are not alone. I’m going to get numerical here for a moment. We know that as many as one in six children have sensory processing issues. That is from the SPD Foundation. The CDC reports that 5.4 million children between the ages of 4-17 have been diagnosed at some point in their lives with ADHD in 2007 and that number is rising. 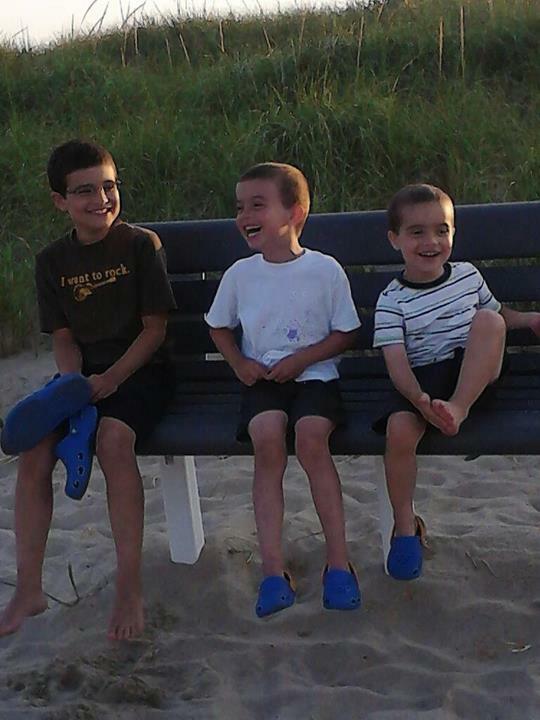 We know that 1 in 88 children – 1 in every 54 boys – are diagnosed as on the autism spectrum. Taking a small seven mile radius around our town – the distance that people in our survey said they would travel for a service like ours – we know we have the potential of connecting with over 400 families who could use the gym. We’re guessing that people will travel farther and the actual number will be even higher. I need your help. As a non-profit public charity, we are completely reliant on donations, grants, and our membership dues to stay open. None of us are taking a salary. All the money we raise goes right back into keeping the gym open and running: rent, electricity, equipment, furniture, insurance. Our gym will be located in Hopedale, MA. There will be one large open space with equipment like therapy swings, a scooter board ramp, a ball pit, and tunnels, balancing equipment and a squeeze machine. We’ll have one quiet “sensory” room with crash pads and low lights and calming activities. And one classroom space for us to hold social skills or life skills classes, or to be used as a sensory-friendly homework room for children who need that to get their work done. Families will be able to purchase memberships to access open gym times with their children. In addition, we plan to offer sensory based group activities, and have the gym available for private therapists to use with children and their parent. We would like to have our grand opening in January 2013. To do that, we need $38,000 to open our doors. That includes purchase of all the equipment and furniture for the gym. We are actively pursuing local and national grants to help get us closer to that number. I need you to tell people about us. Maybe you know a family who has a child with special needs in our area who could benefit from a membership at the gym. Maybe it’s your own family. Maybe you work for a company that is generous with community giving. Maybe you know children who need to raise money as a community service project and they would like to purchase a piece of equipment. I need you – my friends and family – to help make this gym a reality. Not just for my kids or my friend’s kids. But for mom who told me at our town’s Day In The Park that her daughter needs a place like this. For the parents sitting in an Early Intervention family group right now wondering where they could find a safe place to meet once their kids turn three. For the dad who is desperately looking for a way to connect with his autistic son, but can’t afford the play equipment his child needs. Every dollar donated goes to the gym and those families. Last night, we held our first fundraiser in our town. The above is the speech I gave to the packed house that came for food, wine, chocolate, coffee and conversation. The room was filled with family and friends and strangers who are now friends. The most amazing part was it was not all people with special needs children. It was our community. It was teachers, parents, friends, therapists, and business leaders. They came because they wanted to support something that will benefit everyone. We had a “sensory table” manned by my son Gerry and his friend. She’s an amazing young lady who, like my son, understands how much swings and fidgets and weighted blankets and headphones help their siblings “feel better”. We raised a lot of money last night. We’re just under 40% of our goal. Clicking HERE takes you right to our PayPal donation page. We are a 501(c)3 organization and your donation is tax-deductible to the extent permitted by law. Every dollar goes towards get our doors open. I want to be able to come here in January and post pictures of our grand opening. I cannot wait to see the smiling faces on the kids that come through. On behalf of my friend and every family that this will help, thank you for reading. To read the news story about our fundraiser, click HERE. To read more about our plans, click HERE. To make our dream a reality, click HERE. When Gerry was a baby, I signed up for a free parenting class run by our local school district. It was free and I was a new parent so I figured I was supposed to be there. On the first day, the instructor gave us some homework. We were to go home and look over a list of attributes and choose the ones that we felt were most important for our kids. Our spouses were supposed to do the same. I remember sitting with Tim as we looked over the list. He chose words like successful, self-confident, and independent. I chose just one: happy. Gerry’s anxiety level always peaks around the third week of school. I know this because it seems to happen just around “Back-to-School” night. Every year since about second grade, I’m hunting down the adjustment counselor to ask her to check in on Gerry for the next few weeks. The excitement of the new school year dies down and his anxiety about school work and friends goes sky high. It manifests itself in difficulty sleeping, stomach aches, headaches and general grouchiness about anything and everything. Then it calms down after about a week. Every once in a while it flares and we make it through. And then it’s better. Last year, in fourth grade, it didn’t calm down as quickly. He was really struggling. He couldn’t focus in class, he was daydreaming, and when he’d click back in he was getting upset that he was missing the instruction. The difficulty sleeping went on longer than usual. As did the pleas to stay home. I asked him what was happening and he said he just got lost in his thoughts and couldn’t turn off his brain, both at school and at home. Every one told us that fourth grade was the year that all the issues came out. The work gets harder and even the best students start to struggle. And if there was any underlying anxieties or fear of failure…this is the year that we’d see it. So we scheduled an appointment for a neuropsych evaluation. Not because we suspected any disorder or concrete diagnosis, but because we wanted more information on how he processed information and where his strengths and challenges are. You see, we’re old hats at all this testing stuff. Having been through it with his two younger brothers and all. Last January, Gerry sat through a whole day of tests. One right after the other. The results? A little bit of anxiety here, a little Asperger-y there, a little bit of attentional issues over here, and a big gap in his verbal processing skills and his actual processing speed. Meaning he has ideas in his head going a mile a minute but it’s hard for him to get it out verbally and on paper the way he wants it, leading to huge frustration levels and added pressure to succeed. No actual diagnosis but a clear understanding of where he does well and where he has challenges. Oh and he needed glasses. Part of the focus issue in the classroom was an actual focus issue. He couldn’t see the board. Of course. We talked with Gerry about the results of the testing. Well, Tim did. I couldn’t find the right words. They talked about turning emotional problems into intellectual problems and working through them that way. The strategies and accommodations suggested by the psychologist seemed to make sense to Gerry and the spring semester of school ended well. And then came the last week of August. It started when we were on vacation. We were renting a house on Cape Cod for a week. I made him bring his summer work with him because of course he hadn’t touched it all summer long. He worked on it for ten minutes, got angry, and walked away. That night he was up until midnight and then back awake again from 2am until 4am. His demeanor changed instantly. The grumpiness returned. The back talk. Last week was the third week of fifth grade. And right on cue, the anxiety reared its ugly head. The who/what/where/why/how questions about school and band and piano came fast and furious. Gerry stopped sleeping. Monday and Tuesday night he was up past 11pm, stuck in that spiral of “I have to go to bed/I can’t get to sleep/I have to get to bed/Now it’s so late I will never get any sleep/I can’t get to sleep”. Crying. I asked him to try to relax and visualize a place where he felt “happy”. He was quiet a long time. He couldn’t find that place to retreat to to calm him. He had nowhere that made him feel good. Feeling a bit of sadness come over me, I said good night for the fourth time and left the room. And I’ll admit it. I was tired too. My sympathy level was not there. I told him he just needed to go to bed. That I was done talking about it. Ten minutes later, he came back into the room one more time. I stopped for a moment. This was big. And as ego-bruising as it was…he was right. He needed someone other than me. Gerry turned back to bed and went right to sleep. The anxiety piece is the one I struggle with the most as a parent. Both Gerry and Howie get incredibly anxious – it’s about different things and it manifests itself differently but it’s still there. Howie’s behavior changes and he stims more. Gerry hits me with question after question about what is going to happen next and when and with whom and the questions keep coming until he’s up all night thinking about it. I struggle partly because I can’t make it better. I mostly struggle because they get this from me. And because of that…I knew this couldn’t wait any longer. I had to find a way to get my happy kid again. This morning, I had an intake appointment with a counselor. He seems like a great fit for Gerry and we set up a first appointment for them for next week. “Oh good,” he said, barely looking up from his iPad. I couldn’t wish for anything more. I’m not even sure what else to say but that. I know that feeling. The one when you don’t just think that all eyes are on you. How could we not be watching? The screaming. The flailing. The teachers huddled around your child. And you. We were all right there the first day. We stood in the pouring rain as you tried to coax your son out of the school doors. In hushed tones we all chalked it up to first day jitters. I even joked about it to my friend standing next to me. “My son used to hate leaving school too. I’d have to drag him out of here,” I said with a nervous laugh. But something in me just knew. And then today as we all left school I glanced back at the playground and saw you there. He didn’t want to leave. Kicking, screaming. Our fabulous teachers were sitting with you and him, keeping him safe as he melted down. You know we’re trying to avert our eyes. And through the blinked back tears you appreciate it. You do. In the car, I let out those tears you were holding in. I was right there where you are. Just four short years ago. That was me. That was Howie. Our first year of preschool. I could hear him through the window as he screamed that he didn’t want to leave. Every other child came out but mine. He would be carried out, flailing his arms and legs, yelling that he didn’t want to go home. I stood there every morning with my eyes burning and a lump in my throat as I struggled to bring him out with one hand, balancing the 20 pound bucket car seat carrying baby Lewis in the other. I was crushed emotionally and physically. Those moments, for me, were my worst parenting moments. I felt like a failure. I could handle the meltdowns and the behavior issues at home. I could just let him line up his cars and stay in our house and watch the world go by out the window. But the public display outside of school put me on display. Everyone else’s kid cries when they leave their parent for the first days of school. Not mine. Everyone else’s kid runs into their parent’s waiting arms when school is over. Not mine. I felt like the world was sitting in judgement of me. Why didn’t he want to be home? What was she doing to him there? My only saving grace was that the staff at the school knew me personally. They knew I wasn’t beating him or abusive in any way. They worked with me to create transition boards for Howie for school. I took some pictures of our daily after school activities and every morning I’d let them know three things we were doing when we got home. Maybe it was lunch, playing with cars, and watching a show. Maybe it was a trip to Target. We soon discovered that it wasn’t that he didn’t want to come home, but that he didn’t know that the day would continue on with new activities. Slowly, we were able to get to a place of a smoother transition out of the classroom. The staff knew this wasn’t about our home life, but more about Howie’s ability – or inability – to transition from home to school and back to home. 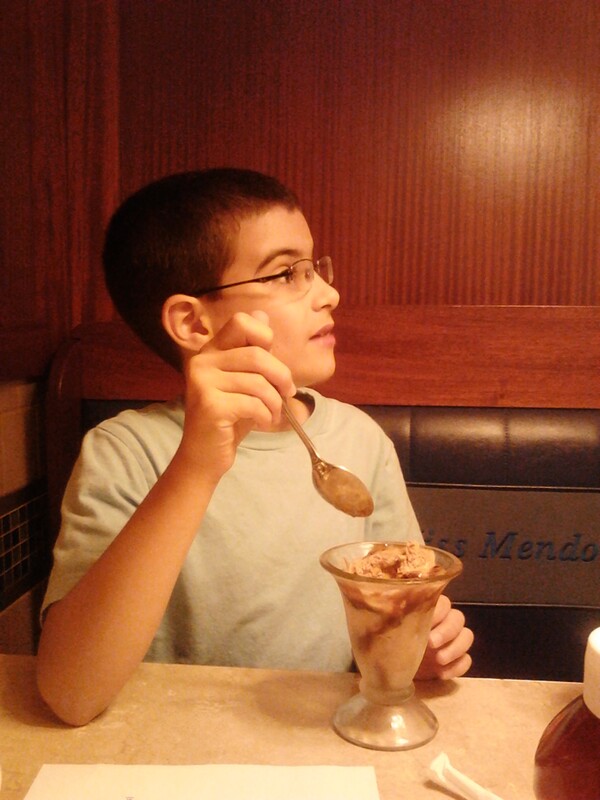 You see…this was all before his life changing – and in many ways our life saving – autism spectrum diagnosis. So…back to you, Mom at school. I’m not saying that your son is on the spectrum. I don’t presume to make those judgements or diagnoses. Maybe you already know what is going on with him. Maybe it’s just a phase. Or maybe it isn’t. And, if you’re like me, you’re feeling stuck. The last thing you want is to draw attention to it all but you also want someone to step in. You want no one to see, yet you need someone to see it too. Someone to validate that it isn’t just you failing as a parent. I’m offering myself as that someone to you. I’m not sure how to approach it, though. Had someone come up to me out of the blue, especially another parent, I might have rejected it outright. Said “nope, we’re doing just fine, thank you.” It took a special teacher to break through to me before I could be the one to reach out. So, if you’re reading this…next week I’ll hang back a little at drop off and introduce myself. Just to say hello. First week of school and all that. The next morning, I may mention that I have boys too. I may mention how lucky we were to have this school in our town because they were so good with all three of my boys, especially my middle guy who had some issues leaving school too. I’ll figure out someway to let you know that you’re not alone. Some way to let you know “I have been there.” And some way to let you know it can – and does – get better. At age 3. 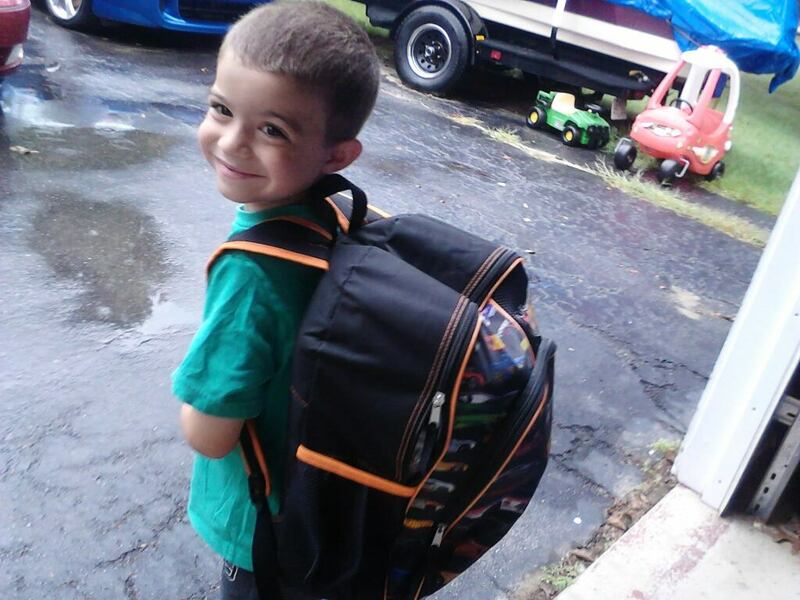 First day of preschool.